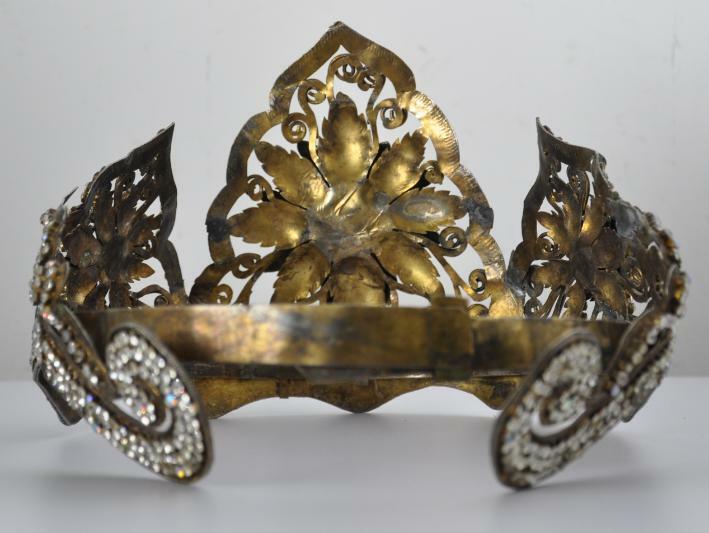 This crown of gilded (gold-plated) metal (probably silver alloy) set with dozens of faceted diamantes, is from the Malay people, most probably those residing in Singapore. 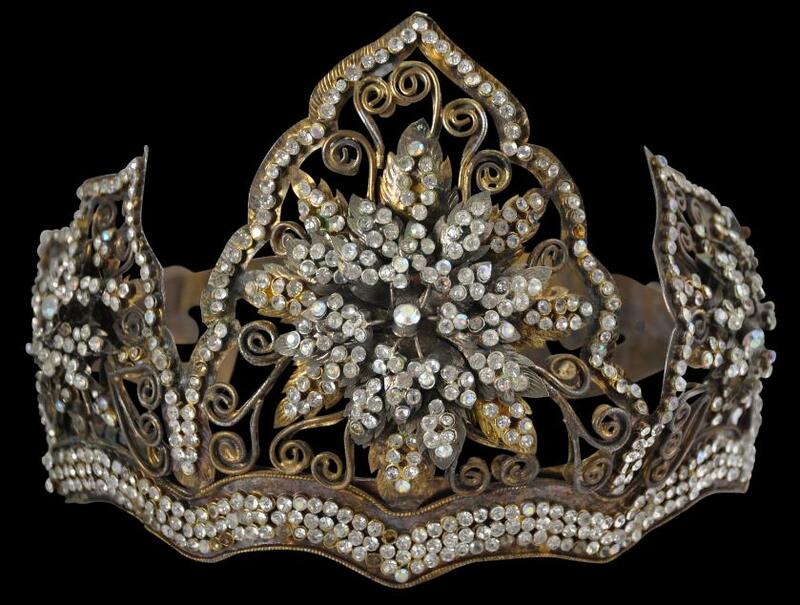 The design incorporates Islamic-inspired floral-like star burst motifs amid wire tendril-like scrolls, and fern frond-like arabesques. 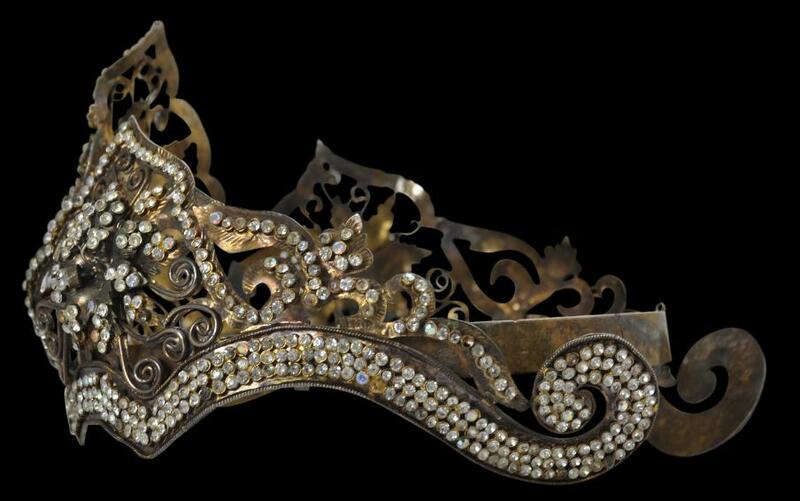 The sides feature wing-like, scrolled bands set with diamantes which are reminiscent of the headdress warn by princely characters from the Ramayana, the Hindu epic, that survived in Southeast Asia post the region’s Islamicisation. Raja Perempuan) of the Sultan of Perlis. 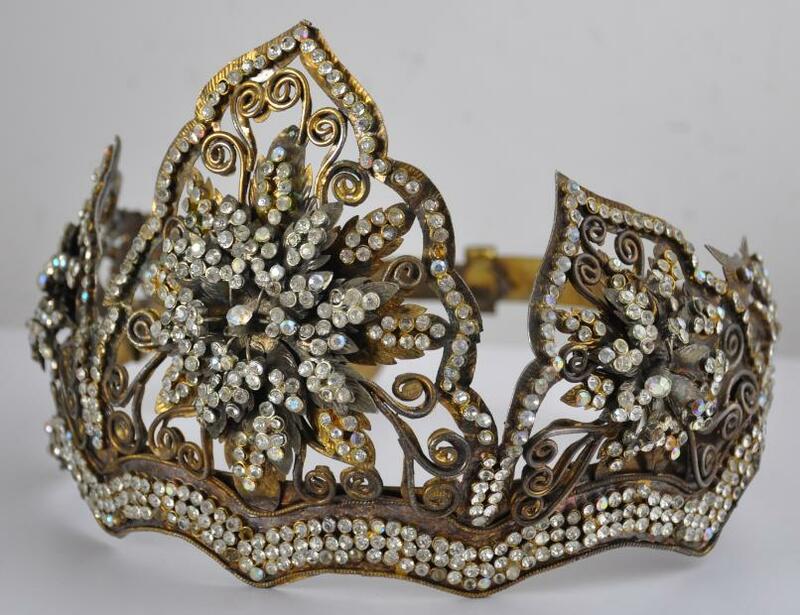 Most probably, it was intended for use during a traditional Malay wedding during which the bridal couple take on the trappings of an enthroned royal couple for the wedding period, signifying the great importance attached to weddings among the Malays. 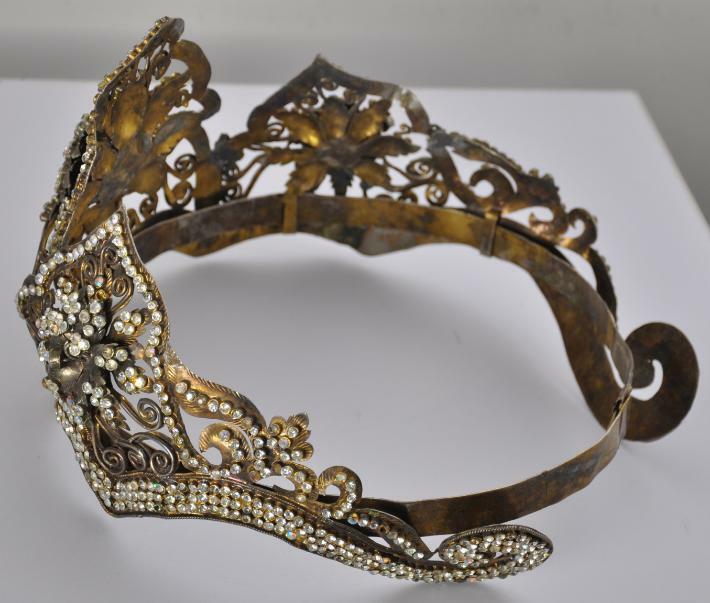 It is possible that the crown was also meant for use during circumcision ceremonies during which the boy was accorded the trappings of a prince for the day. 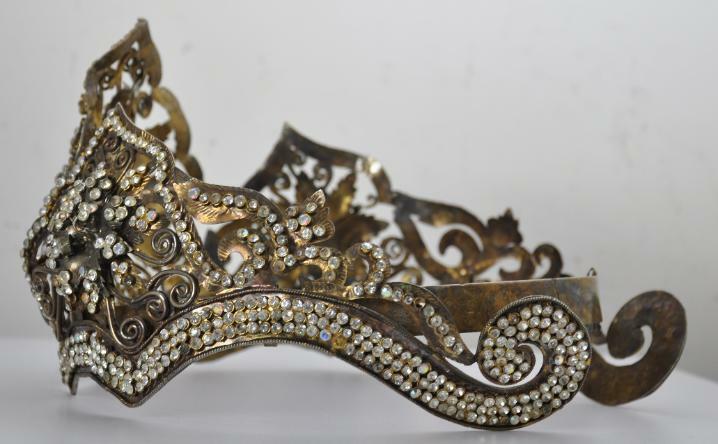 The crown is adjustable at the back to take account of differing sized heads. 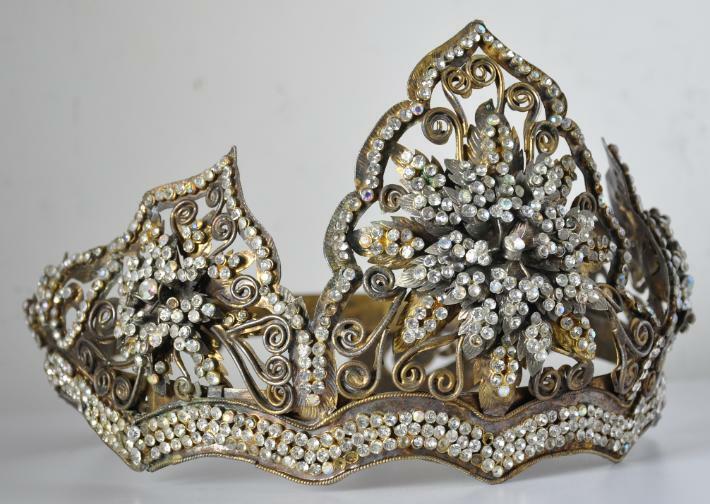 As might be expected, several diamante stones are missing, but the crown is otherwise in excellent condition. 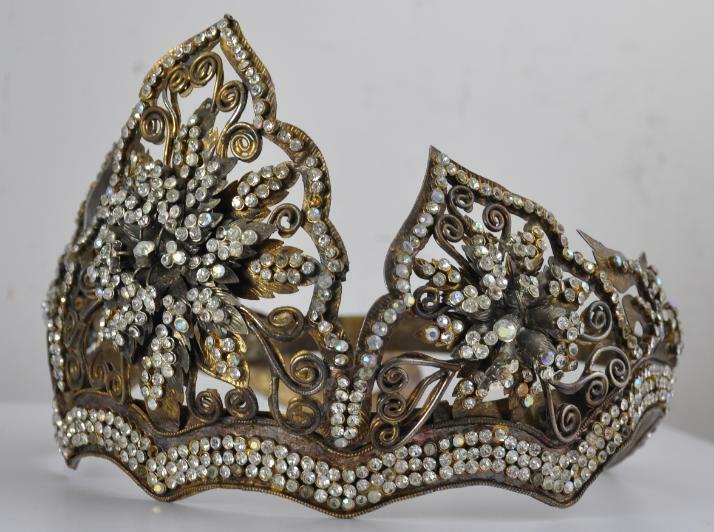 Brus, R., Crown Jewellery: And Regalia of the World, Pepin Press, 2011.
et al, The Encyclopedia of Malaysia – The Rulers of Malaysia, Volume 16, Archipelago Press, 2011.